Aggregate online reviews from 100+ OTA's and the major social media platforms. Get deep insight into guest sentiment for each of your properties and stay connected to your clients. 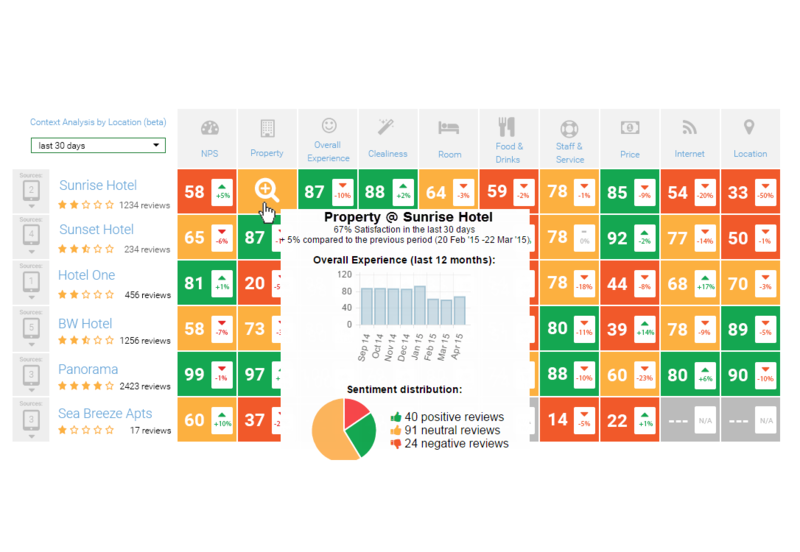 Benchmark your hotel's performance with the closest competitors with our advanced semantic analysis and the Reputize Index™. Get alerted in real-time and act instantly when a client is at risk. Reply to online reviews and engage in social media conversations. Improve your online reputation by acting proactively and increase direct bookings. 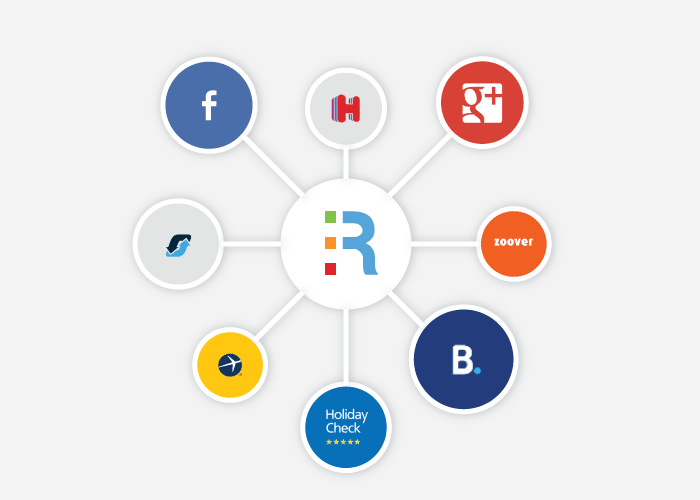 Analyze guest reviews on more than 100 online travel sources and the social web in order to make informed decisions on a service and operational level. Keep track in real-time what is being said about you on all popular social sites. Advanced keyword discovery, sentiment analysis & influencer scoring. 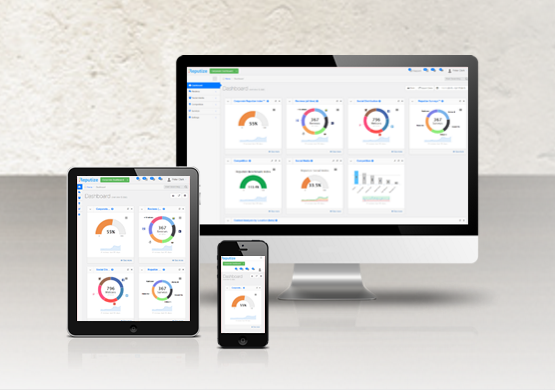 Make use of the Reputize Index™ to compare your performance with the competitors. 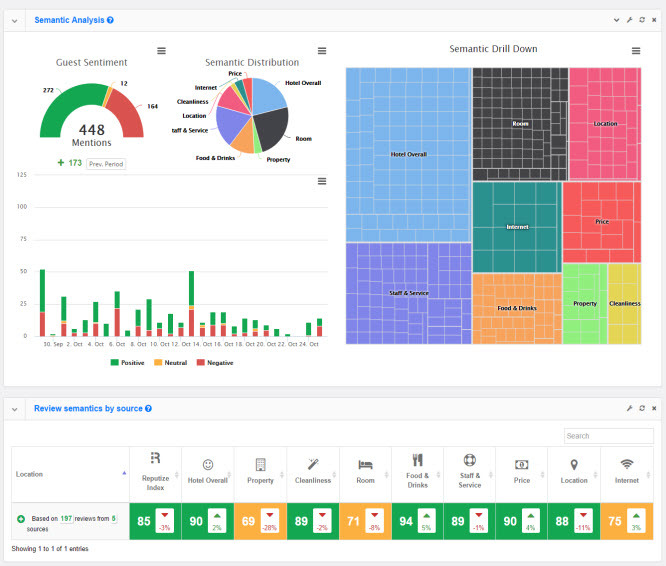 Drill down data by semantic topics for each property within your hotel group. 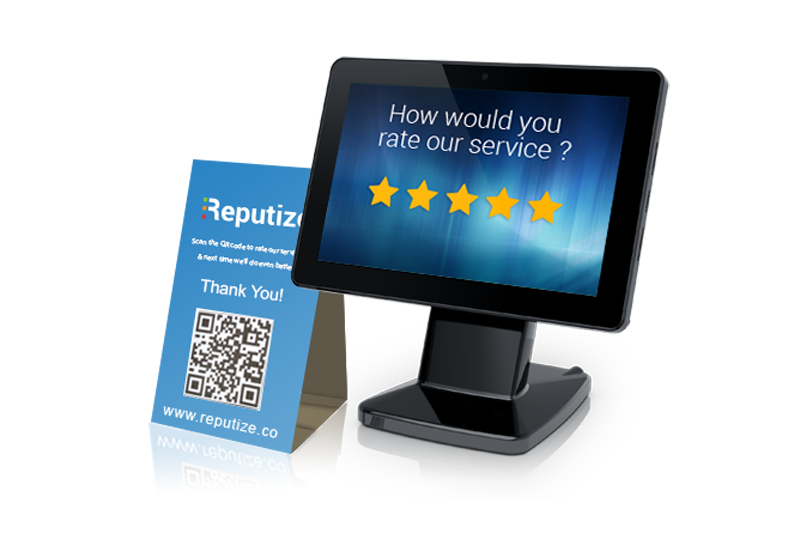 The Reputize Index™ is a reputation score based on the aggregated data from all online reviews. The algorithm was developed in conjunction with industry experts and academics. Advanced keyword discovery and Natural Language Processing (NLP) technology is available at your fingertips to provide you with deep insight into guest sentiment. Get the right member of the staff to respond every time a review meeting your specific criterias is published on the web. Receive instant SMS or e-mail alerts. A dedicated account manager will listen to your special needs and will carry on with the setup and data integrations. Executive view over all managed properties. Customize and trigger reports whenever needded.